Questions About Mesquite Traffic Tickets? We’ll give you clear answers about your options, your chances of a dismissal or a deferral arrangement, our fees, the time the process takes, as well as the fines and costs you might ultimately have to pay. 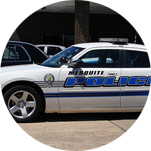 If you think you may have an active warrant in Mesquite, you can click here to check. Mesquite Municipal Court hears Class C Misdemeanor criminal cases, including traffic violations, for which the maximum fine, upon conviction, does not exceed $500, and for which no jail sentence may be assessed. It also hears cases involving violations of city ordinances, which may have fines up to $2,000 for certain offenses. 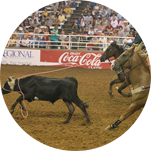 So, if you’ve been cited in Mesquite and want a lawyer to defend you, call 214 575 6060 now! Dated: AUG 22, 2018 Altec Industries Inc. (Altec) is recalling certain 2008-2018 Aerial Devices equipped with aluminum work platforms. The platform mounting holes may fail, causing the platform to move unexpectedly.